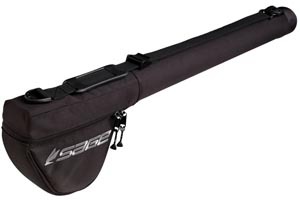 Compact, ultra-light, feature-rich fishing sling for conquering gear chaos in comfort. 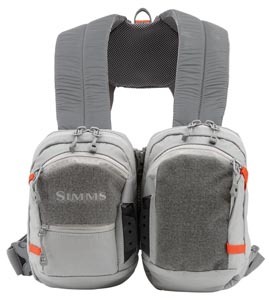 Shoulder essential fishing gear in chaos-free comfort thanks to Simms' new ultra-light, sized-down Waypoints Sling Pack. Patterned shoulder and side secure straps ensure great fit and all-day comfort. 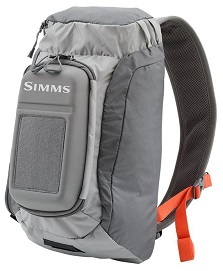 Additional features include a U-shaped zippered opening for easy-access to the 10-liter main compartment. And when it's time to swap flies a fold-down workbench, with tippet tender and floatant/shake holder, makes for seamless transitions. Finally, tap magnetic tool ports for easy hemo/plier/nipper access, compression straps for exterior storage, and a top-zippered pocket for sunglasses safekeeping. 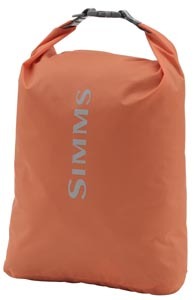 Savvy organization for anglers with extras, Simms' Headwaters™ Tackle Bag offers garage-like gear capacity from truck tailgate to boat deck and beyond. 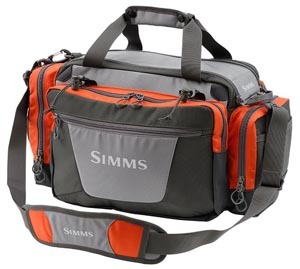 The easy-access primary compartment, with double-zipper closure, holsters an array of small to extra-large boxes, while exterior pockets are ready to receive a cache of tools, mono spools, and more. 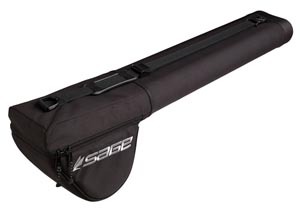 Additional features include tuckable rod-tube holders on the exterior, a waterproof TPU bottom, and rugged nylon DWR coated upper fabrics. 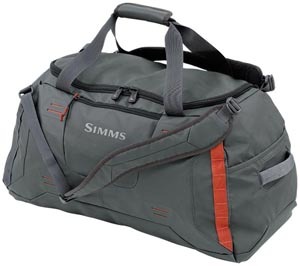 Simms' Bounty Hunter 50 Duffle is an authoritative swallow-all, built to pile on the passport stamps thanks to waterproof 1000D TPU nylon and rugged 600D PU fabrics. 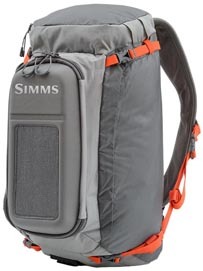 Features include the convertible convenience of removable backpack straps. Multiple lash points and molle webbing help keep the bag on lockdown while in transit. An open back-panel sleeve synchs easily with roller-style handles. The exterior zippered pocket at the side and stash pockets at the ends provide quick-access storage solutions. And an easy-access main zipper compartment opens to plentiful mesh-pocket organization options. Sm - 13" X 10.5" X 4"
Md - 16" X 12" X 6.5"